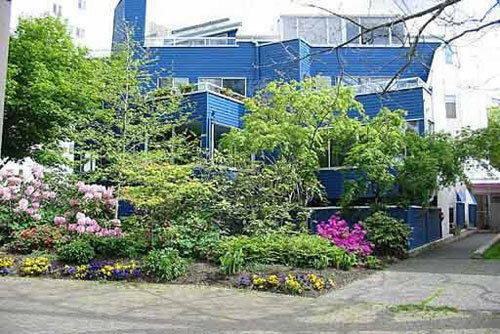 Building Highlights: '﻿﻿﻿﻿WHISTLER CHALET STYLE CONDOMINIUM' in the city. What a unique and special suite this is. Top floor, corner, penthouse style home in a quiet 14 unit complex. Only 14 suites in tie uniquely designed building on Minipark. 2 blks from English Bay.